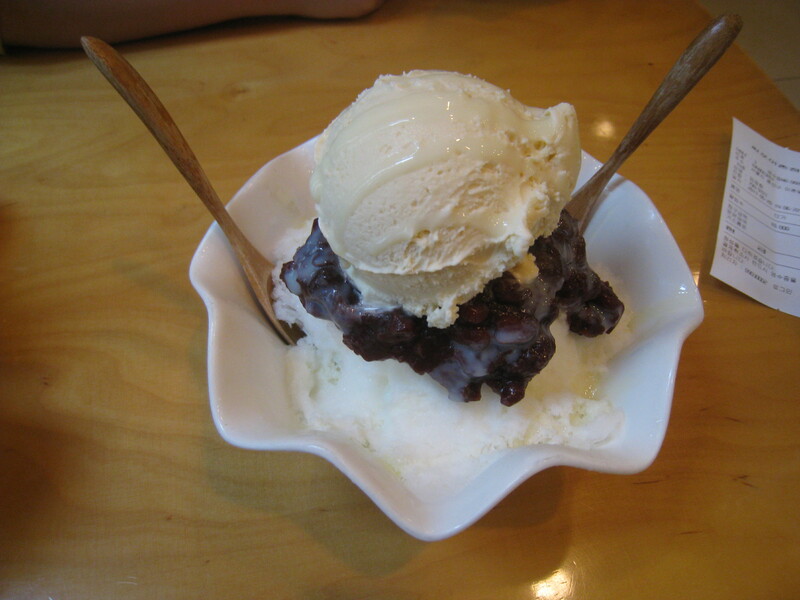 While in Seoul, Seouyoung and I have been on a quest to find the most delicious red bean and shaved ice dessert. Pat Bing Soo is the name of this luscious and refreshing Korean style sweet. 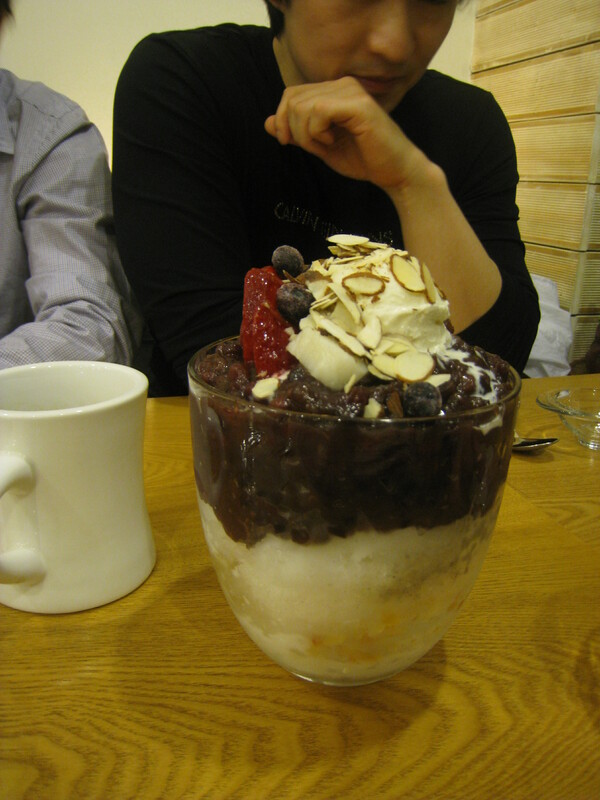 I first had this dessert in Korea Town in New York with Seoyoung. Now that I’m in Korea, I need to try it straight from the motherland. On my first night here, I implored that we eat this as a nightcap. I had had a long week in Thailand and was sad to be gone… and dessert can do a girl some good when she’s a touch down. So we parked ourselves on the street below her apartment and had an okay version of this dessert. Canned red beans, crunchy ice, taro gelato (we’re in Asia, remember), a drizzle of butterscotch and grape syrups and a few leaves of fresh oregano for flourish. It satisfied the sweet tooth, but wasn’t by any means great. Seoyoung insisted she knew of a better one, so we’d have to give it another go. Twist my arm. The second version was a million times better than the first. After three hours in a hot Korean spa (very similar to a Japanese onsen) and an intense scrub down done by an old Korean woman armed with coarse mitts and muscles, we were aching for something cool. We stepped outside and made a beeline to the cute, modern C4 Cafe with etherial ice. The dessert came served in a bowl and was easily enough for four people. We were just two. 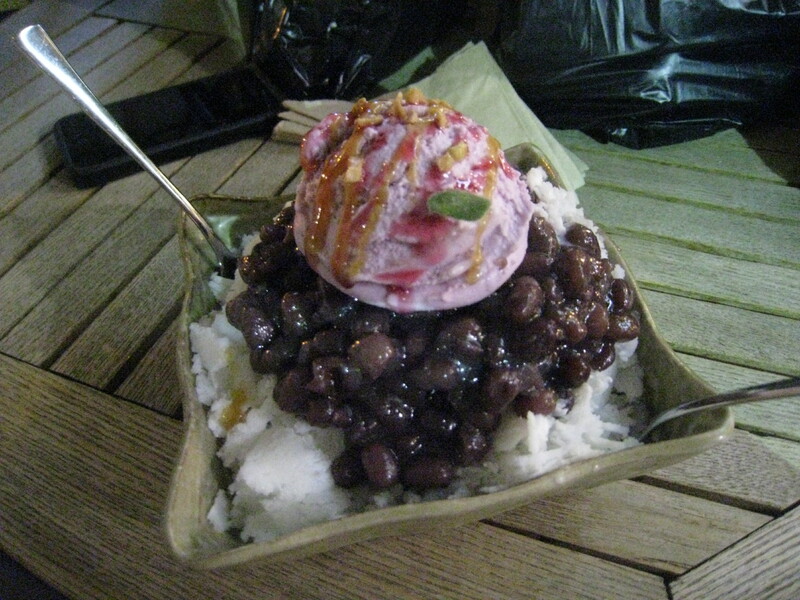 But that didn’t stop us from inhaling the whole thing: house-made red beans not overly sweetened (better than the canned version in flavor and texture), shaved ice that melted like angel dust upon tongue contact, vanilla bean ice cream and a healthy dousing of evaporated and condensed milk. This version was delicate, not overly sweet and completely enthralling. This cafe so far has my vote for “the most tasty red bean dessert”. The ice wasn’t ephemeral in light and airy degrees like C4, but the amount of chewy bits and variety of flavors stole my heart. 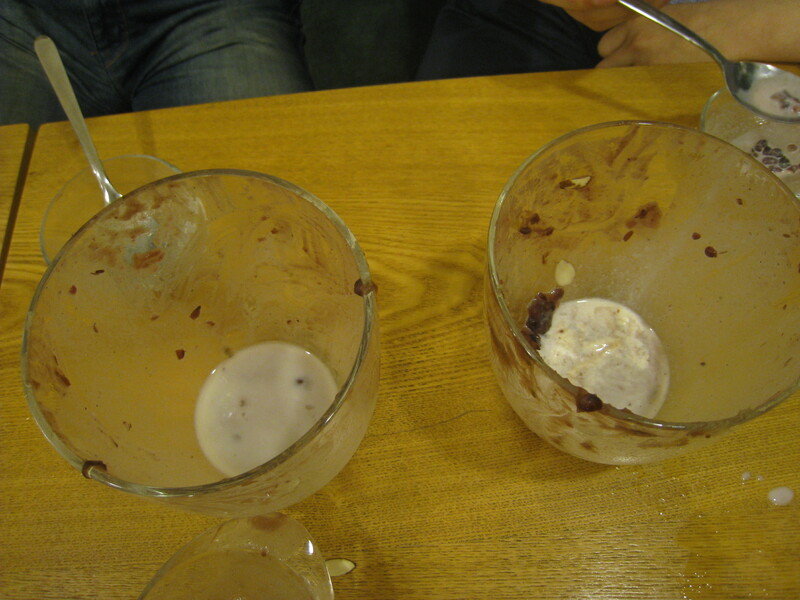 The glass/jug was layered with frozen fruit, sliced almonds, gooey red beans that retained a bit of bite, grain powder (which lent and earthy note), ice, evaporated milk, mochi squares, diced papaya, and of course the requisite scoop of ice cream (vanilla at this joint). I was sure that just one of these desserts would have been plenty for the six of us and jokingly scolded Seoyoung for ordering two. Next stop, Mill Top, for Seoyoung’s favorite red bean ice dessert. We shall see if this is really the ultimate penultimate pat bing soo…!